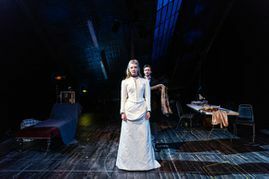 Natalie Dormer and David Oakes star in the West End premiere of David Ives’ critically acclaimed Broadway smash hit, VENUS IN FUR. Enigmatic actress Vanda Jordan appears unannounced for an audition with director Thomas Novachek. 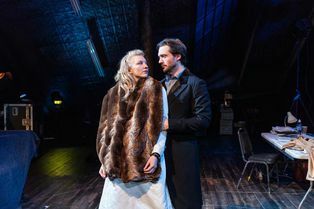 She's determined to land the leading role in his new production - despite seeming wrong for the part. Over one evening in downtown Manhattan their charged meeting becomes a seductive dance to the end. 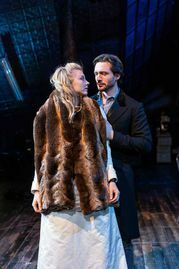 Directed by Patrick Marber, designed by Rob Howell and with lighting by Hugh Vanstone, VENUS IN FUR is an intoxicating dark comedy of desire, fantasy and the innate love of fur.